When the Apocolypse Comes….What Skill Sets Do You Have? 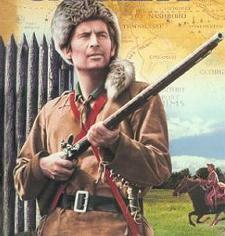 For the last few months I have been watching the TV series Revolution. It is an apocalyptic story line. It has got me to thinking…..what skill sets do I have that can be used for barter/trade? Because, you know money will be of no value, a CEO resume or salesman of the year status will be of no value. If you don’t have something, some skill set that can contribute to the survival of a small community, you may very well find yourself on the outside looking in. 1. I am a nurse, although retired at this moment. 4. I can grow vegetables. I’ve had many a small vegetable garden over the years. 5. I can also spin wool with a drop spindle. 7. I know how to make tallow candles. 8. I can fish and I can bait my own hook. Hell, I can even hunt for my own bait. 9. I can also shoot a rifle or a bow and I rarely miss my target. 10. I know how to can vegetables. So what skill sets do you have? We should be thanking you every day, not just today. All of you have given quite a bit to enrich our lives. 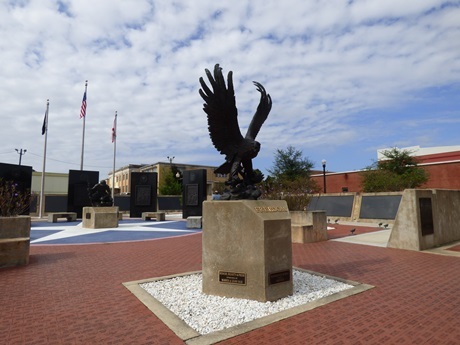 Some of you have given your health, some have given your limbs, and some of you have given your lives so that we, the citizens of this great country can enjoy our own lives without thought or fear of terror from those who hate us. I salute you for your courage and sacrifice. I pray the Good Lord holds you forever dear to His heart. God Bless all of you. 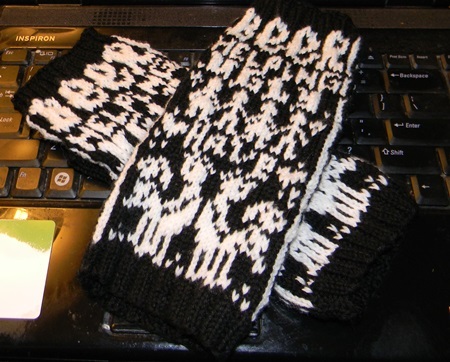 Just recently I finished up some fingerless mitts. One is a pair of beer lover’s mitts I made for my oldest. He will get them for his birthday this month. The do have adult content, so if that sort of thing offends you, leave this page now. 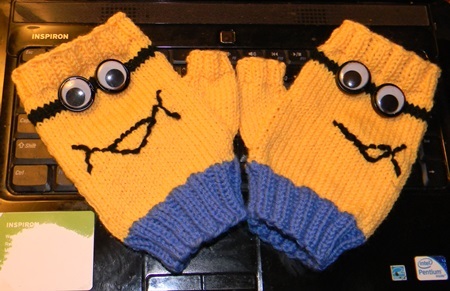 The other pair is some minion mitts. 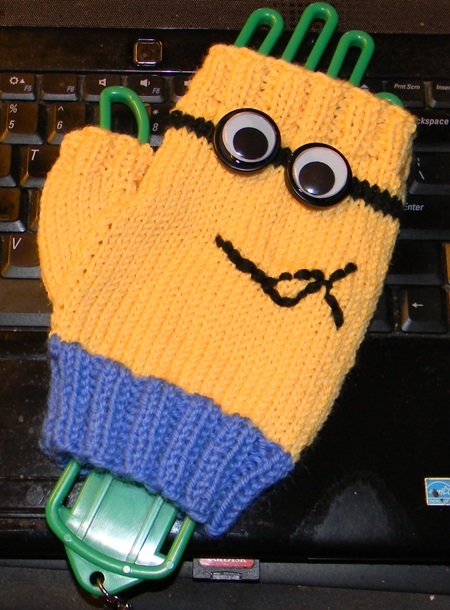 I came across some crocheted minion mitts on Ravelry and thought I could do that in knitting. It is simple. Just take your favorite mitt pattern, whether for an adult or a child and knit the cuff area in blue. Then knit the body of the mitt in yellow with a black stripe close to the top. Sew on some large buttons. Then glue wiggly eyes to the buttons. Embroider the mouth. Viola! You have minion mitts.